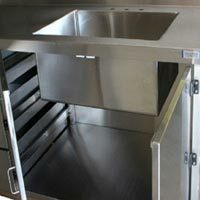 Our Stainless Steel Laboratory Case Work Cabinet Sink offers a balance of workspace functionality. 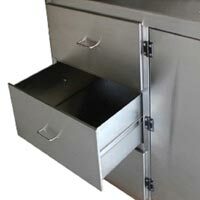 It is perfectly suited for biotech research facilities and chemical laboratories. 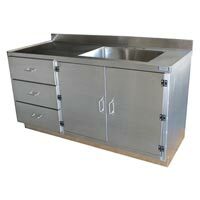 Manufactured using 304 series stainless steel, our Laboratory Case Work Cabinet Sink is highly durable. 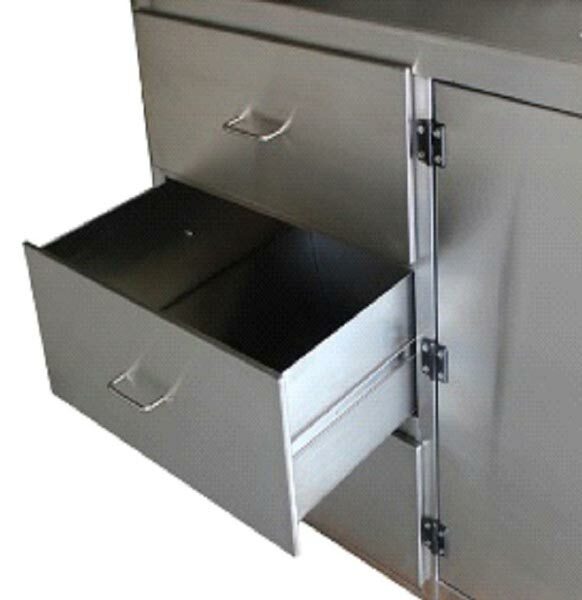 It comes with storage drawers that can store and protect critical lab documents and other paperwork. 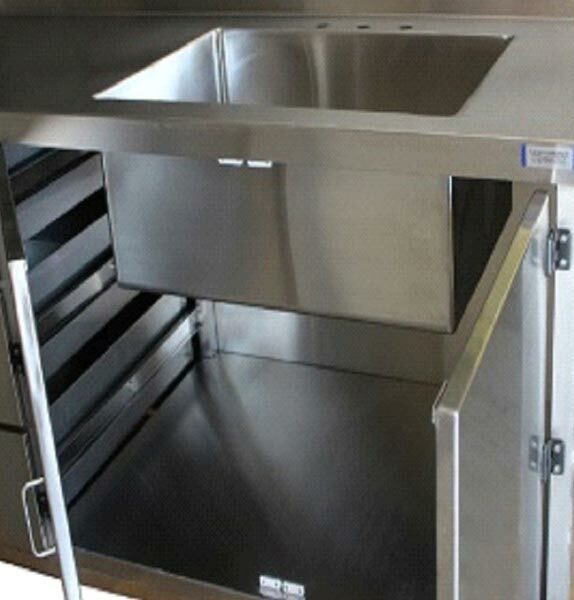 Hands free gooseneck faucet, work surface spill lip and custom storage setups are made available with Work Cabinet Sink on demand.